Past payment performance---35%. It’s critical to pay your bills on time. Do not wait until the due date---by the time the payment is processed, it will be considered late. Credit utilization---30%. Banks may lend money to you but they would prefer that you not use all of it. Keep your balances to less than 30% of your maximum credit limit, otherwise your credit score will take a hit. Credit history---15%. The longer you have had accounts open, the better. If you have only a short history, that’s ok as long as you have limited credit and you’re paying on time. Types of credit in use---10%. Bank credit is more favourable than finance companies. Too many finance companies (e.g. buy now, pay later) may make you appear as a weak borrower and therefore, a higher risk. New credit applications/inquiries on your credit report---10%. Applying for multiple credit cards after you have incurred high balances on other cards can be detrimental to your score. Multiple inquiries for a mortgage or car loan though, within a 14 day period, count only as one inquiry. The past can’t be changed but the future can be better, without question. Live within your means with a good spending plan. Pay down your debt as much as possible to improve your credit score. Keep things simple. Fewer cards and lower balances are better. Time will heal most things---this is a marathon, not a sprint. There is no magic fix and no credit repair. Check your credit report and credit score each year to ensure there are no mistakes. If there are mistakes, fix them immediately for free---on your own---by contacting Equifax and TransUnion. Bottom line: Good habits going forward will guarantee that your credit score will improve over time and perhaps, sooner than you think, you will find it in more favourable territory. 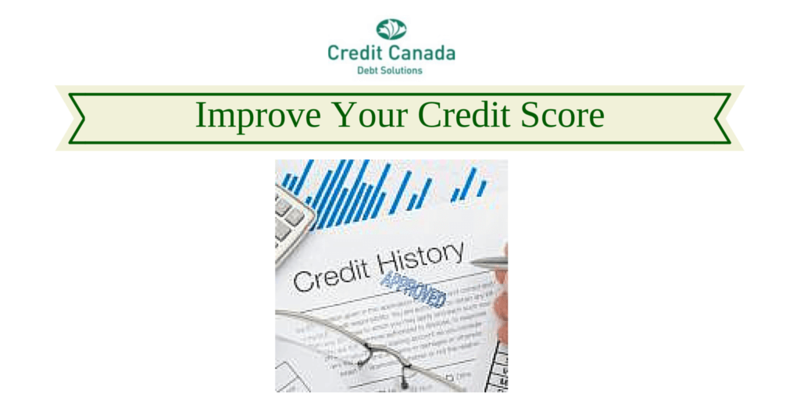 For more detailed information about how to get your credit report, understand your credit rating and improve your credit score with Credit Canada click here.